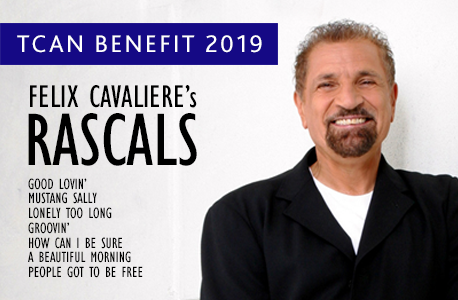 TCAN Annual Benefit 2019 will be held Saturday October 26, 2019 at 7:30 PM featuring FELIX CAVALIERE's RASCALS! Both individual and business sponsorship packages provide customized benefits and an evening of spectacular entertainment. These include preferred seating and an exclusive meet-and-greet party with the artists following the performance. Please see links below for details. For more information, contact Development Associate Valerie Barretto at 508-647-0097 ext. 209 or valerie@natickarts.org.